Come by and see us for a unique Christmas gift! Shop small! 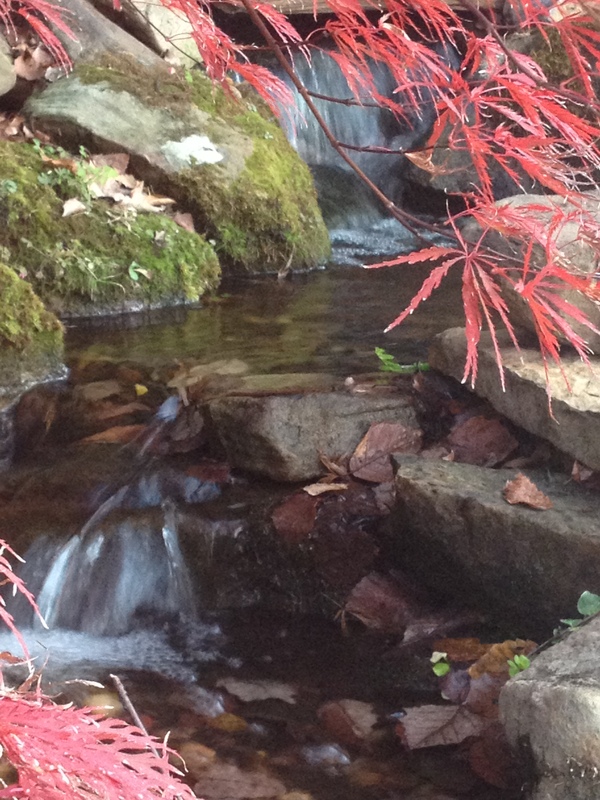 How do I care for my Water Garden/Pond in Fall & Winter? WHAT do I do for my Koi? HOW do I Winterize my Pond? WHAT do I do if my Water Garden freezes over? WHEN do I stop feeding my Fish? Remove plant debris and other organic matter. Excess organic matter can contribute to increased algae growth. A large amount of leaves collected in the bottom of your pond will decompose and produce tannins. This can be harmful to your fish and reduce water clarity. Leaves can also collect in the stream and cause a plant dam (causes leaks!). It is very important to keep your skimmer net cleaned out regularly. DAILY if needed. Pond netting which can be purchased at Carter’s Nursery can make these things less problematic and will make it easier on you during the winter. This will help make Spring Clean-Outs easier and faster too. Also a Debris net is a ‘MUST HAVE’ tool to have by your pond. A good net will serve you well. HEALTHY FISH: When water temperatures reach 55 degrees stop feeding your fish or start using Low Temp fish food. (Available at Carter’s Nursery) At these temperatures, their metabolism slows down and eating normal food can make them sick or even cause death. You should always end their feeding cycle with Medicated or Low Temp Fish Food. Medicated and “regular” Fish Food should be finished by the time water temps reach 55 degrees. For an extended feeding time Low Temp can be fed as low as 45 degrees (check bag or ask a sales associate about feeding temps. Check into Low Temp Koi Food & Low Temp. Bacteria to extend your feeding season & reduce maintenance. )LOW-TEMPERATURE BACTERIA: By using LOW TEMP BACTERIA your bacteria treatments CAN still be done until the water reaches 32 degrees. This will keep the bacteria active in your pond and promote healthier water for your fish during a longer period of time. In Spring, as water temps return to 40 degrees you may start the bacteria again. 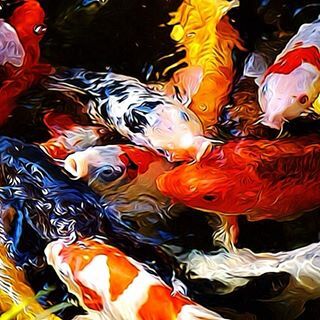 However this will not mean you no-longer need to clean your pond in the Spring because you will still have fish waste and plant debris in your pond that needs to be removed. 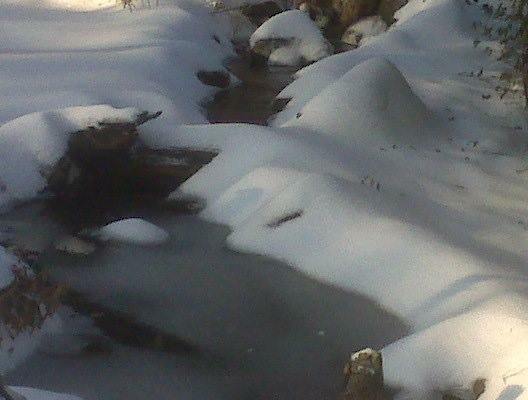 WINTER BEAUTY: Leaving your waterfall running all season will not hurt anything. As matter of fact, it will give you some beautiful views & photo opportunities! During the fall & winter, birds love to come to your pond to drink fresh water, and in winter months, the running water will make some breath taking natural ice sculptures. So keep your camera handy. And get some close ups. But be sure to watch out for ice dams. These can cause your pond to lose some excessive amounts of water. During times of excessive ice build-up you may have to add water too. If this happens, add water back in to your pond with a hose or bucket to bring your water levels back up. Remember to keep a dry hose & bucket in the garage. ICE SAFETY: NEVER, NEVER, NEVER break the ice by banging on it. It can cause your fish to go into shock! To allow the escape of poisonous gas, keep a hole open in front of the skimmer. This is IMPORTANT!!! It will keep the gases from building up under the ice and suffocating your fish. This will also allow the pump to get water if surface is frozen. Keep the hole open by using a floating De-Icer, a bubbling aerator or by adding warm water from a water hose, bucket or pan of water. (If you use your water hose be sure to drain it when finished-to keep it from freezing and bursting, or keep it in your garage). NEVER, NEVER, NEVER break the ice by banging on it. It can cause your fish to go into shock! I hope this helps! IF you have a question about your Pond or Fish just give me a call & I will help if I can. My # is 731-424-2206. OR shoot me an e-mail to greenmc@aol.com.